Cebu Pacific, the country's largest low cost carrier is seeking to expand its operations in Hong Kong after it obtains the approval of the Civil Aeronautics Board. The carrier has filed an application for the reallocation of 1,240 seat entitlements between Cebu and Hong Kong that were previously awarded to PAL Express. 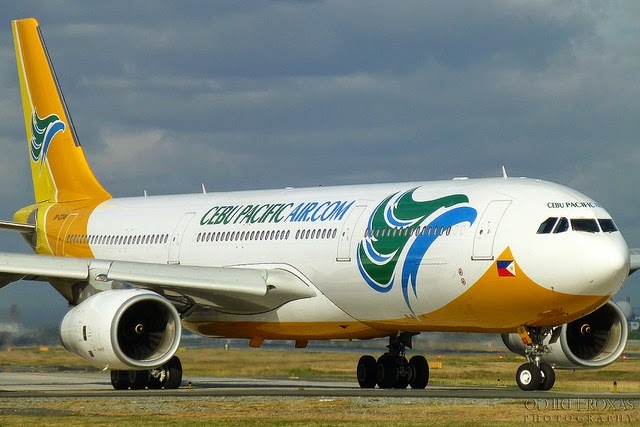 According to Cebu Pacific's Vice President for Corporate Affairs Jorenz Tanada, the carrier has already exhausted its existing rights to Hong Kong and would like to expand. "Cebu Pacific filed for a reallocation of entitlements for the Cebu-Hong Kong route," said Tanada. "Cebu Pacific is fully utilizing rights to operate the route. We are looking to expand our operations in Hong Kong." Tanada added that PAL Express holds 1,240 seats but has not used them since they were assigned. "As the only Philippine carrier operating this route at this time, we hope that a reallocation can be considered," said Tanada. The Philippine air panel is still in pursuit of further negotiations with Hong Kong to expand the existing air services agreement. Cebu Pacific is currently seeking expansion in Hong Kong, Indonesia, Australia, and Taiwan. The company has asked the Civil Aeronautics Board to give the countries priority in future negotiations. "We've actually asked CAB as well to prioritize those countries, Hong Kong as well as Australia," said Lance Gokongwei, CEO of Cebu Pacific. "We feel that there's really a lot of potential for the tourism growth from those countries, especially Hong Kong and Australia." Cebu Pacific currently holds 15,000 seat entitlements to Hong Kong. "We'd like to see some substantial increase in the Hong Kong entitlements," added Gokongwei. "There hasn't been a capacity increase in like 6 years between Manila and Hong Kong. So we'd like to a substantial increase."